Mass manufacturing requires quite a lot of chemicals to keep the mattress looking and feeling fresh as it is shipped around the country or around the world. These chemicals leak into the air around you in a process called off-gassing. When you inhale off-gassed chemicals, your health can be severely affected. Some chemicals such as polybrominated diphenyl ether can disrupt your hormones and brain functions. Others like styrene are known carcinogens and can also have an impact on your reproductive health. You can’t truly escape off-gassing if you buy a conventional mattress—it can continue for the entire life of your mattress, putting you and your loved ones at risk. Find a retreat away from harsh chemicals. Find a natural resting place. 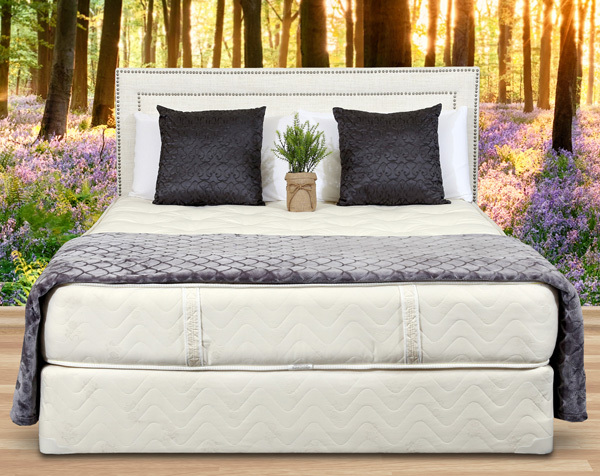 Find your comfort with Gardner Mattress.